10 Gorgeous Color Leather Jackets for Girly Women! My Top Favorite Colored Leather Jackets for Girly Women! By now you probably already know that I am absolutely CRAZY about cute and colorful stuff and that includes color leather jackets! I agree that a classy black leather jacket will always look good on us on any occasion, but I’m asking you today to open your mind and explore the possibility of also having a FUN and colorful leather jacket as well! They are perfect to add a ‘splash’ of color to a cold, dark and gloomy day for example, or just to express yourself in that particular day! Some days we are feeling ‘colorful’ and we should definitely dress the part! 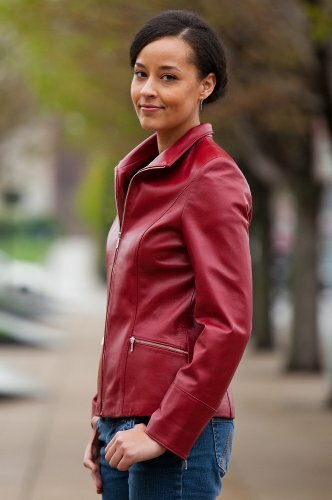 Here are my top favorite color leather jackets for women being sold! The Most Beautiful Color Leather Jackets for Sale! How about this FLORAL Lambskin Leather Jacket ladies? This lovely floral leather jacket is my number one top girly leather jacket for women being sold! When I saw it the first time and let out a scream of excitement! A leather jacket created to express who I am! It is also made from high-quality Napa leather! It is very soft and very flattering to wear! Gosh, what else can I say about this gorgeous jacket? It is available from sizes 6 to 16! Will make a very nice Christmas gift idea too, husbands! How about a Pretty Pink Leather Jacket? Of course I also LOVE pink leather jackets! 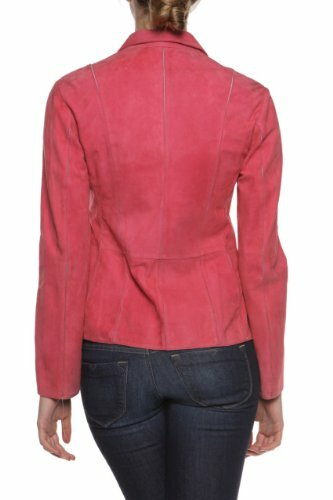 This is a beautiful and very feminine 100% buckskin cerise pink leather jacket! It is extra-soft and extra-comfortable to wear! It has a beautiful and very unique design! Great price too for a quality leather jacket! The only problem with it is that it’s only available in medium sizes. I am also crazy about turquoise! It is such a peaceful and delicate color! Look at this gorgeous and very cool turquoise motorcycle leather jacket for sale ladies! No matter how old you are it will definitely make you look about 10 years younger! It has a very ‘youthful’ look! This one is available in ALL sizes, from small to extra-large! Gorgeous Vamp Red Napa Lambskin Leather Jacket for Women! How about a beautiful ‘vamp’ red leather jacket now ladies? It has a gorgeous, classy ‘vintage’ simple design! Look how well it goes with a nice pair of jeans! Just perfect for a cold day without the bulk! 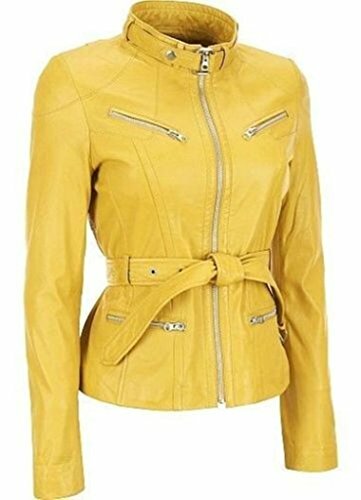 Best Color Leather Jackets for Women! 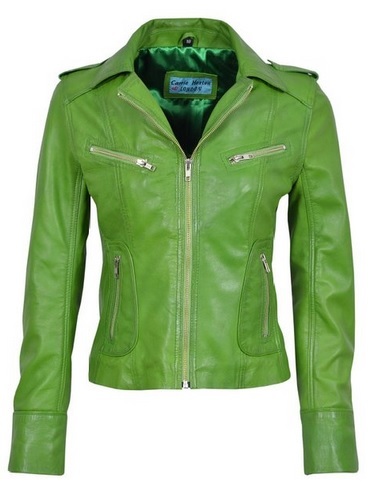 I couldn’t talk about colorful leather jackets without also including a beautiful green leather jacket in the mix too! 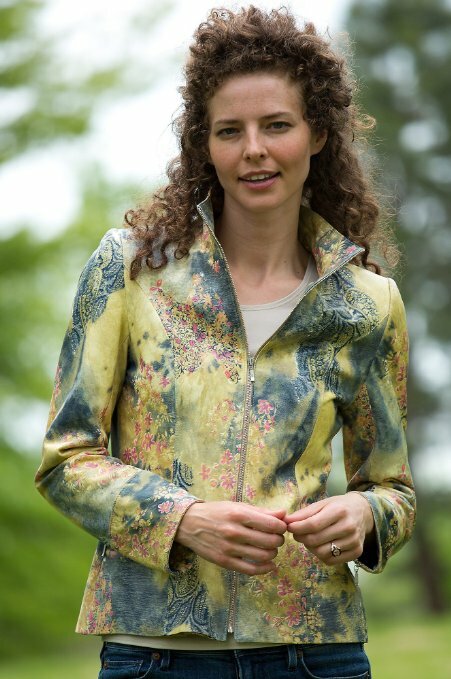 This gorgeous jacket is made from 100% leather, so it looks and feels very luxurious! It has a gorgeous feminine, youthful and very flattering design! I love the simple zipper front and the two zippered front pockets as well! This cute jacket is also available in all women’s sizes! As you can see I absolutely LOVE green leather jackets! 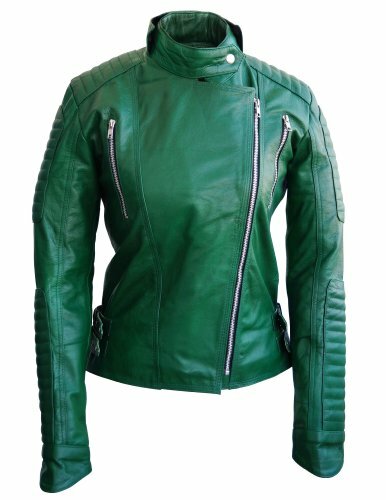 I had to show this gorgeous lime-green leather motorcycle jacket for women too! I love this shade of green and the beautiful design! Ah… purple… the color of intuition and spirituality! How gorgeous and unique is this purple suede jacket for women? Needless to mention it is heavenly soft! Versace PEACH Color Leather Jacket for Women! 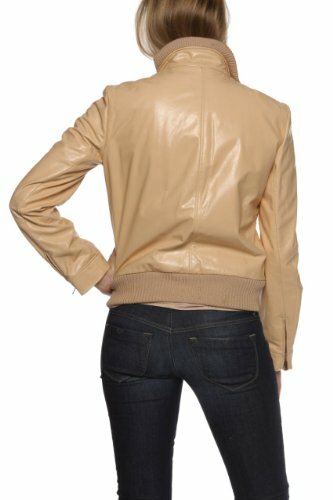 If you are looking for beautiful designer leather jackets for sale in unique colors, how about this gorgeous and very elegant Versace peach leather jacket? It has a very simple and classy sports design and it’s made from 100% leather. Goes awesome with jeans pants! I LOVE chocolate brown colors too! How gorgeous and delicious looking is this very unique chocolate brown cool looking leather jacket for women? I love the very feminine and very pretty design too! 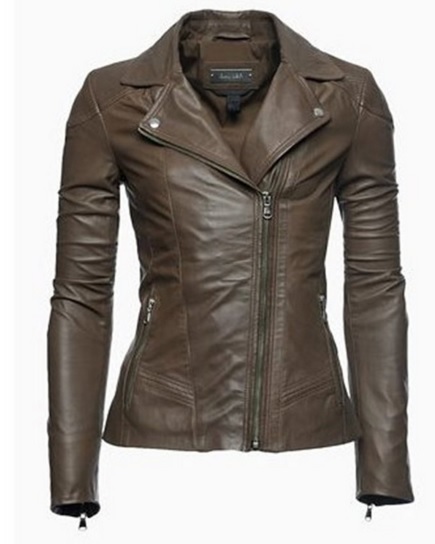 *Fashion Leather Jackets for Women!